I think this picture is of some rabid Mass Effect fans doing cosplay of the Montreal staff. Yanick Roy the Studio Director of BioWare Montreal has formally announced on the Bioware blog that his studio is where the magic will happen for the next Mass Effect game. You'll be able to judge if they'll be any good as they are the team that did the Omega DLC. 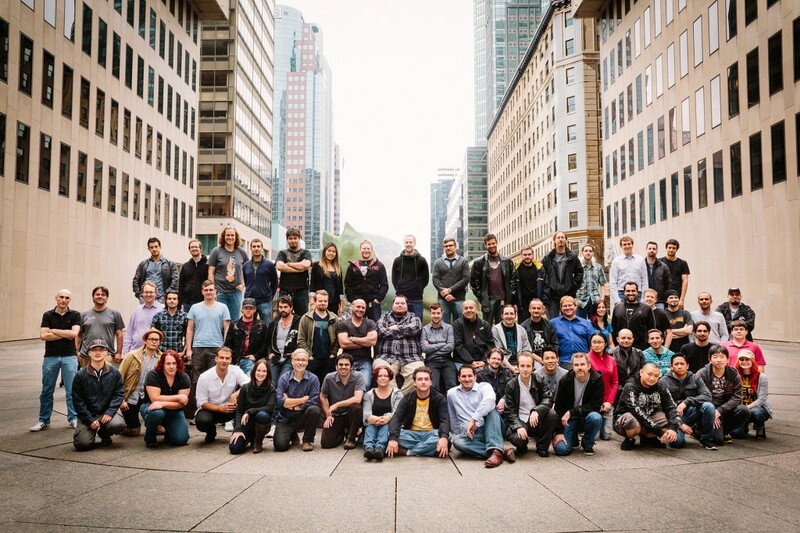 Because BioWare has always believed that the company culture is one of the key ingredients of the games we make, we took two important steps with the team. First, we deliberately seeded the new studio with many transfers from Edmonton. Second, we chose to grow the team relatively slowly, allowing new people to join the team and integrate into its culture in due time. Even with that approach, though, the Montreal studio has made significant contributions to the Mass Effect franchise. We started by building about half the cinematics for ME2, then most of its N7 missions, and finally we played an important role in the development of much of its post-release content. Then on ME3, we took charge of the multiplayer portion as well as making significant contributions to the single-player campaign. Most recently, we built a large piece of DLC that will be released on November 27 and that you know under the name of Omega. With each new portion of work, we took on deeper and broader responsibilities, but we always worked in conjunction with Casey, the Mass Effect leads, and the developers in Edmonton. To ensure a proper and effective transition, we’ll continue to be supported by the Edmonton studio through the game’s development, working with and learning from them on some critical initiatives. On top of that, Casey remains the Executive Producer, but he will have a Project Director under him, working in Montreal, leading our development team and making day-to-day decisions for the game. We all care very much about Mass Effect and make our decisions based on what’s best for the game.